What am I writing about today? 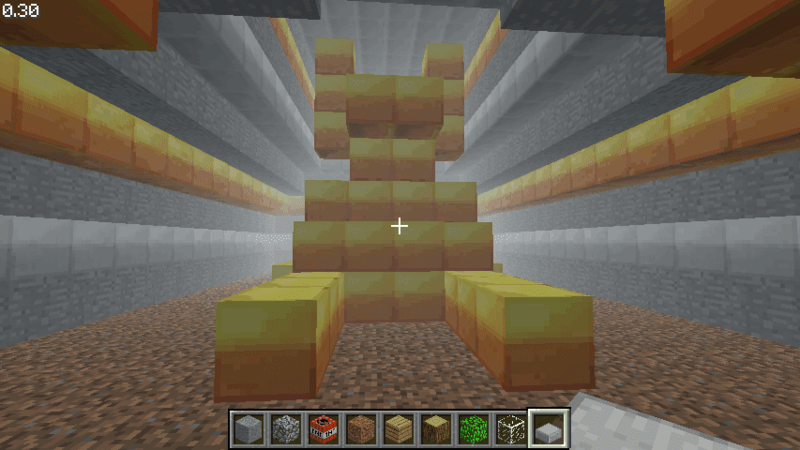 Minecraft! 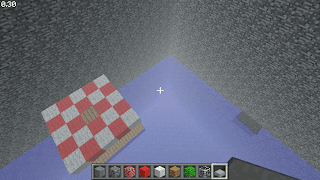 If you don’t already know, Minecraft is a Sandbox game created by Markus Persson. 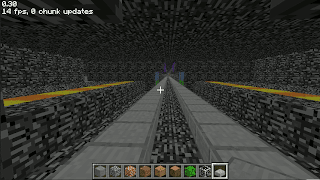 In Single-player Creative Mode, you roam around the randomly generated map, and build structures, or dig down and find some caves, or go on a mad destruction rampage and destroy all of the blocks that make up the world. You can do pretty much anything. Right now, you cannot save any maps, unless you have purchased the game for about fifteen dollars. Zombies: Basic enemies that run up and try to kill you. Skeletons: Slightly more advanced enemies that shoot arrows at you and explode into arrows when you kill them. Pigs: Run around, do nothing and drop health-restoring mushrooms when you kill them. Sheep: Stay in one area and graze, drop cloth when you kill them. Creepers: Enemies that have an attack like zombies but explode when you kill them. 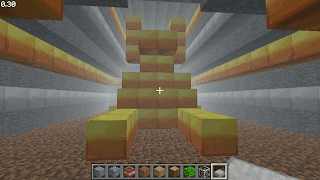 In Multi-player Creative Mode, you start or join a server, and play with up to 31 other people from all over the world. You can make collaborative works of art, or just show off your art. On Tuesday, the 3rd of November Joey started up our very own minecraft server, TCWS Flat Grass Server. We used that for a while, dealing with griefers, and watching awesome pixel artists do their stuff (pictures below). Then we saved that map, renamed the server to TCWS City Server, and used a map editing tool to create roads all across the map. We are currently running that map, and we are having fewer problems with griefers. We have created a few anti-grief precautions there, such as not being able to dig without an admin’s consent, creating more admins, and learning to type “/ban playername” more quickly. Currently there are six admins from the school, and one from the internet. It is a huge phenomenon at school. The server runs 24/7, but unless an admin is on, nobody can get on. I have collected a series of screenshots for your viewing pleasure. Also, feel free to stop by and explore our city. Just create a new account, go to the server list, and click TCWS Natural Server (or create an account and follow the link above). Introduce yourselves and ask to be let out of the prison cell you will appear in. The Admin Tower on the old server, which housed the spawn prison and the griefer watchtower. 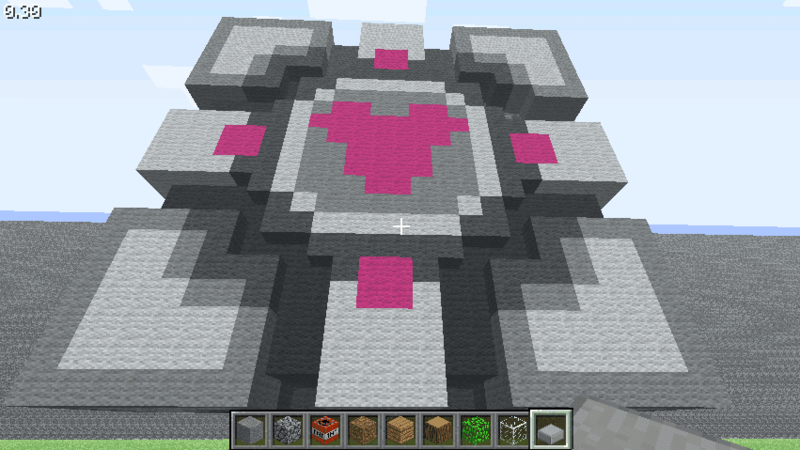 Made by Joey with a map editor called OMEN. 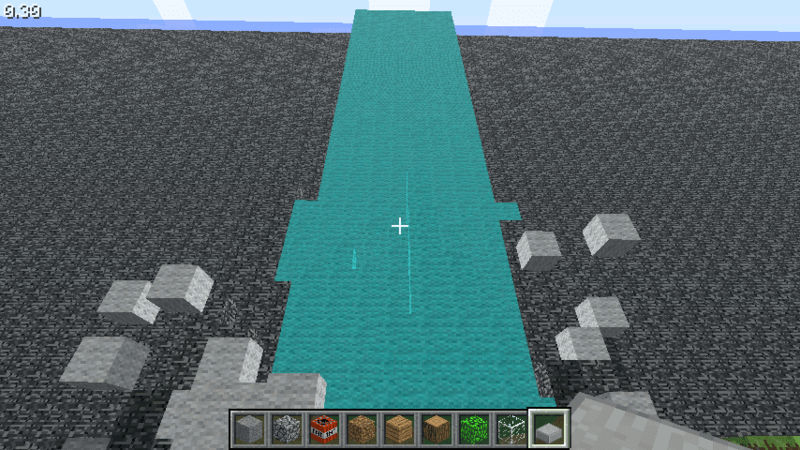 A waterfall on the old server, made by Joey. 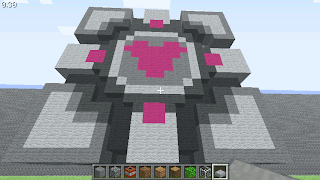 A companion cube from Portal, made by an interwebber named Flox on the old server, which, if you look at pictures of it in Portal, is remarkably similar. 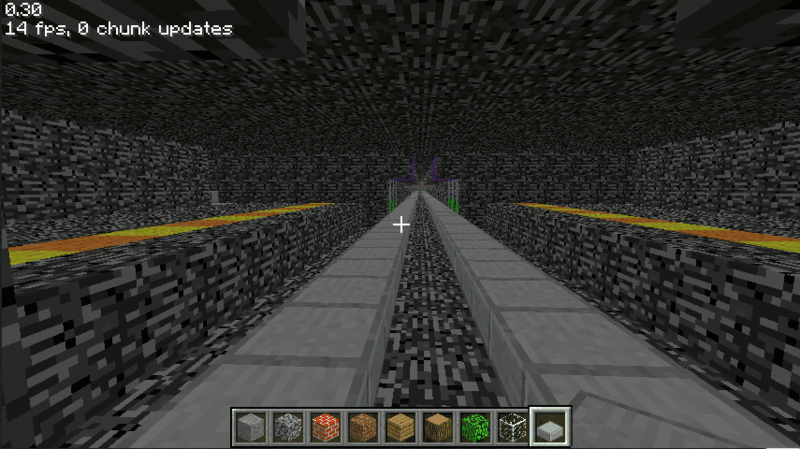 The subway on the new server, made by Joey and an interwebber named Coolpilot. The admin-only pool on the new server, made by me! Is this a current server? I can't seem to find it. That server is no longer running. Minecraft is not as avidly played at The Clearwater School as it used to be. Thanks for your interest. 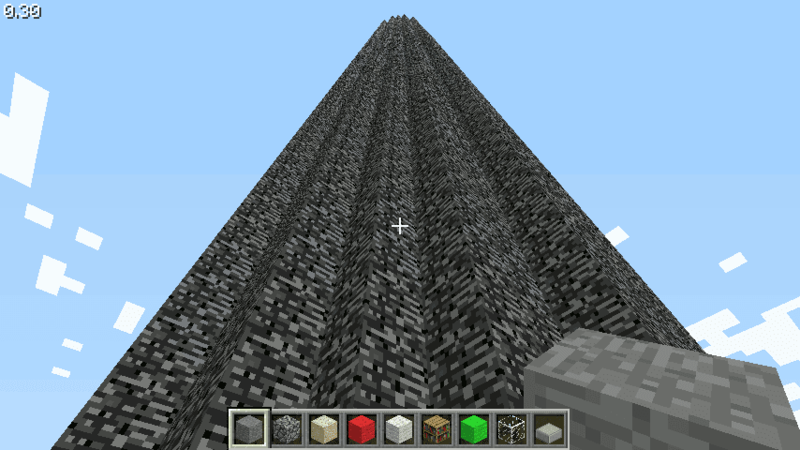 Minecraft is an awesome game. Many people love to play this game. You can visit Minecraft Hosting which provide servers at an affordable price.